Richard Wagner was born in Leipzig. The man who was officially his father, a clerk at the police court, died when he was very young. His mother soon married the painter Ludwig Geyer and possibly he was Wagner's real father. When he was seven the family moved to Dresden, where he received his first musical education at the Dresdner Kreuzschule. Geyer died when Wagner was only eight years old, but he had already inspired a taste for art in the boy. Under the influence of Goethe and Shakespeare he wrote the tragedy "Leubald und Adelaide" at a very young age. He started a series of diaries around the age of twenty, already convinced of his own genius and his future fame. After attending performances of works by Weber and Beethoven he switched to music. In April 1829 he saw Wilhelmine Schröder-Devrient as Leonore in Beethoven's "Fidelio" and he was deeply impressed. He entered Leipzig University in 1831. After he obtained an engagement as choir director at the Würzburg theatre he started his opera "Die Feen" and he finished it in 1834. In 1836 he married the singer Minna Planer. He went to Königsberg with her to become musical director at the theatre, allthough at the time Minna was probably more wanted as a leading actress than Wagner was wanted himself. Soon afterwards the theatre went bankrupt and Wagner was left behind without payment. An engagement in Riga followed, but he spent too much money and in 1839 he had to flee from his creditors. Wagner tried to find himself a place in the world of opera in Paris (1839-1842). Allthough he became friendly with the great Meyerbeer he failed and almost starved to death from poverty. Even so he finished his opera "Rienzi" and when it was performed in Dresden on October 20th, 1842 (with Wilhelmine Schröder-Devrient singing) it was an overnight success. In 1843 it was followed by "Der Fliegende Hollander" ("The Flying Dutchman") and in that same year he was appointed Kapellmeister in Dresden. Allthough Wagner had a stable income now, his debts rose to enormous heights because he continued to live far beyond his means. In his Dresden years he completed "Tannhäuser" (first performed on 19 Oct 1845) and "Lohengrin". The latter was rejected by the opera in Dresden and was first staged in Weimar in 1850. In 1848 he supported the revolution that was rising in Saxony. The revolution failed and where people like Bakunin were captured, Wagner managed to flee to Jena, to his friend Franz Liszt who had supported his work from an early stage. He had first met Liszt in 1841 in Paris. Wagner initially was little interested in Liszt's compositions, but at a certain point he realized that there was much depth in them. From that point the men were always eager to hear each other's compositions, even when their friendship became clouded by the constant demands of Wagner and by his affair with Liszt's daughter Cosima. Wagner remained in exile until 1860 and during this time Lohengrin turned into a huge success. In 1850 in Zurich he wrote an anti-semitic piece on Jewishness in music which was partly an attack on Meyerbeer. In 1853 he first met Cosima Liszt, the young daughter of Franz Liszt. In Zürich he was supported by Mathilde and Otto Wesendonck and he lived in a cottage behind their villa near Lake Zürich. 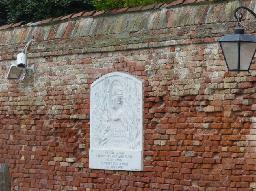 Mathilde (1828-1902) became his muse and his music to her poems resulted in the 'Wesendonck Lieder'. In 1858 his wife Minna intercepted a love letter to Mathilde and their liaison ended. It is unclear if they were lovers. In 1860 he was granted amnesty in Germany except for Saxony. In 1862 a full amnesty followed. From 1864 onwards king Ludwig II of Bavaria supported him financially. This enabled the production of "Tristan and Isolde", "Die Meistersinger von Nürnberg", "Das Rhinegold" , and "Die Walküre". Wagner's influence on the king was regarded as dangerous and in combination with a personal scandal he was forced to leave Munich. This scandal was his liaison with Liszt's daughter, who had married his conductor and friend Hans von Bülow in 1857. Cosima bore Wagner a daughter in 1865 (Isolde) that was accepted by Von Bülow as his own. From 1866 onwards Wagner lived at Tribschen (near Lucerne) with Cosima. By the time he married her in 1870 they had three children. Their daughter Eva was born in 1867 and their son Siegfried was born in 1869. Wagner devoted himself now to the completion of his epic work "Der Ring des Nibelungen", about a struggle between the gods and mankind. It consisted of four parts, "Das Rheingold", "Die Walküre", "Siegfried" and "Die Götterdämmerung". Under his direction a new theatre was built in Bayreuth (in Bavaria) where his complete Ring was first performed from 13 to 17 Aug 1876. Gounod, Grieg, Tchaikovsky, Saint-Saens and Liszt, they were all there to witness these first Bayreuther Festspiele. Judith Gautier (1845-1917) was also present and she was the master's muse during the event, allthough it's not clear if there affair was consummated or not. After the Festspiele Judith an intimate correspondence followed. Judith sent her letters to Wagner's barber Schnappauf, but after Cosima caught him burning some of the correspondence early in 1878, they had to put an end to the affair. Wagner continued his writings on musical and political themes, among them 'racial purity'. In 1882 he completed his final opera "Parsifal" in Palermo. It was performed on 25 Jun 1882 in Bayreuth during the second Festspiele. The work had put a serious strain on Wagner and he died of a heart attack on 13 Feb 1883 in Venice. On the morning of his death he had an argument with Cosima after the announcement of a visit by Carrie Pringle, one of the 'flowermaidens' at the festival of 1882. Wagner withdrew to his study and the excitement probably caused the heart attack. Two days before his death he had dreamt of Wilhelmine Schröder-Devrient and told Cosima that the women of his life had passed before his eyes. 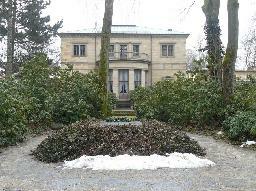 Wagner was buried in the garden of his villa Wahnfried in Bayreuth. Cosima became the guardian of his work and managed the 'Festspiele' in Bayreuth. She survived him until 1930. His son Siegfried tried hard as a composer, but his opera's were little succesful. Siegfried preferred men above women, but pressed by Cosima he married the young Winnifred Williams, who bore him four children. A few months after his mother's passing away Siegfried died from a heart heart attack, like his father. During his life Richard Wagner had several love affairs. Apart from his well known affairs with Judith Gautier and Mathilde Wesendonck he was involved with Jessie Laussot (1829-1905), Mathilde Maier (1833-1910) and Friederike Meyer. He also had a short liaison with Cosima's older sister Blandine and only after her death in 1862 he started his affair with Cosima. 0/3/1855 Richard Wagner conducts eight concerts in London. The concerts took place between March and May, 1855. 2/2/1861 Ludwig II of Bavaria attends Wagner's opera "Lohengrin". Ludwig was much impressed. 13/3/1861 Premiere of Richard Wagner's "Tannhäuser" in Paris. Urged by the members of the Jockey Club, Wagner had added a ballet to his opera. However, Wagner let the ballet start immediately after the ouverture, while it was known that the gentlemen were only present from the second act because they first finished their diners. The performance was disturbed by booing. After three performances "Tannhäuser" was over in Paris. 10/12/1865 Richard Wagner is forced to leave Munich. His presence was unwanted because he was supposed to influence king Ludwig II, who had given a lot of money to Wagner. 24/10/1867 Wagner completes his opera "Die Meistersinger von Nürnberg"
12/5/1871 Richard Wagner announces to build his own theatre in Bayreuth. He didn't want to stage his "Ring" in Munich as originally planned because the Court Theatre was not fit for the purpose. This was reason enough for Wagner to build his own theatre. 0/9/1873 Bruckner visits Wagner in Bayreuth. Bruckner asked Wagner if he could dedicate his third symphony to him and Wagner approved. 5/11/1881 Wagner arrives at the Hôtel des Palmes in Palermo. He had travelled from Munich to Verona and then from Napoli to Palermo. His family was with him and they occupied rooms 24, 25 and 26. 15/1/1882 Auguste Renoir sketches Richard Wagner in Palermo. Wagner didn't like sitting for him. Renoir later used the sketches for his oil painting of Wagner. 28/3/1882 Richard Wagner suffers a heart attack in Palermo. He survived the heart attack and on 2 April he was able to make a daytrip to Taormina. 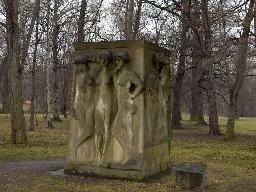 1/10/1903 The Richard Wagner monument in Berlin is unveiled. 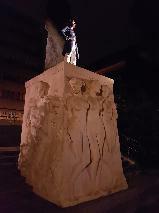 It was created by Gustav Eberlein. 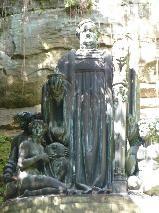 The monument was commisioned by Ludwig Leichner, a manufacturer of cosmetics. 30/8/1923 Hitler speaks at the Villa Schönberg in Zürich. The villa Schönberg was built on the spot where his idol Richard Wagner once lived. 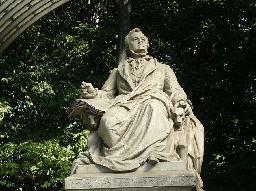 The Wagner monument in Munich. 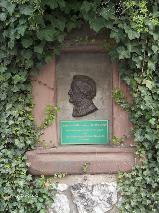 The grave of Richard and Cosima Wagner in the garden of the villa Wahnfried in Bayreuth, Bavaria. 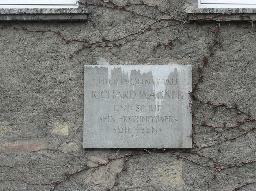 Plaque for Richard Wagner in Leipzig at the place where his birth house stood until 1886. Socle by Max Klinger for a Wagner statue that was never realised. It was placed at the Klingerhain in Leipzig. 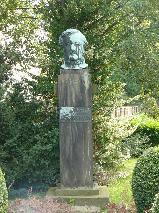 Bust of Richard Wagner at the Schwanenteich, Leipzig. Richard Wagner, painted by Franz von Lenbach. Head of Richard Wagner in front of the Nibelungenhalle at the Drachenfels in Königswinter. 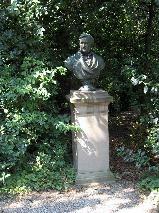 Bust of Richard Wagner in the garden of the Schönberg villa (near the Wesendonck villa). He lived there in a cottage next to the Wesendoncks. 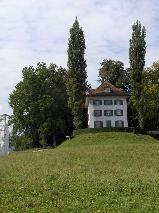 The Villa Schönberg stands at the spot of the former Riegelhaus (or Asyl") where Richard Wagner lived and worked from 1857 to 1858. 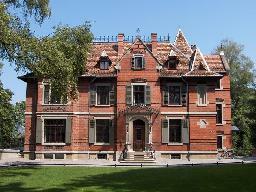 The Riegelhaus was owned by Otto and Mathilda Wesendonck who sold it in 1872. 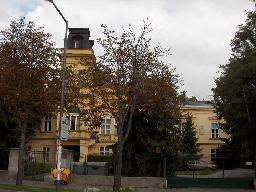 The present villa was built in 1882. 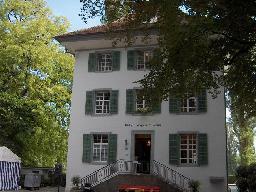 The house in Tribschen where Richard Wagner once lived is now a Wagner museum. 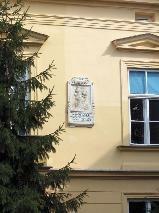 The house at Hadikgasse 72 in Vienna where Richard Wagner lived (1863-1864). 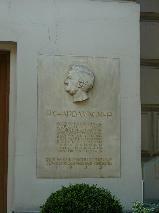 Plaque at the house at Hadikgasse 72 in Vienna where Richard Wagner lived (1863-1864). 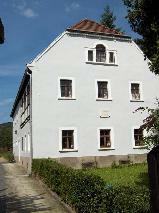 The house at Graupa near Dresden where Richard Wagner lived. It is now a museum. 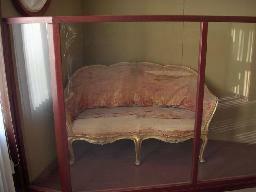 The couch on which Richard Wagner died in Venice is now in his house Wahnfried in Bayreuth. 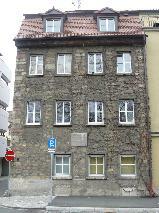 The house at Kapuzinerstrasse 40 in Würzburg where Richard Wagner lived in 1833. 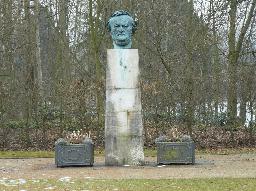 Richard Wagner statue by Arno Breker near the Festspielhaus in Bayreuth. 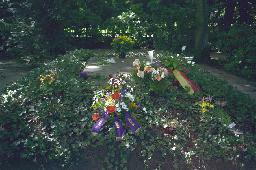 The grave of Richard Wagner in the garden of the villa Wahnfried in Bayreuth. 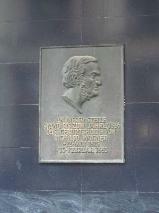 Plaque for Richard Wagner at the Hotel Imperial in Vienna. Head of Richard Wagner at the Wagner Kulturpfad in Graupa near Dresden, Saxony. 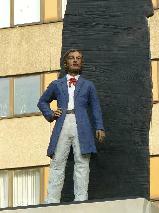 The statue of Richard Wagner by Richard Guhr at the Liebenthaler Grund near Liebenthal, Saxony. 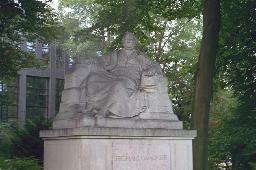 Statue of Richard Wagner at the Tiergarten, Berlin. 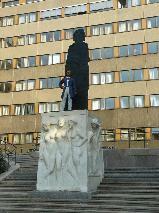 The Richard Wagner statue in Leipzig. 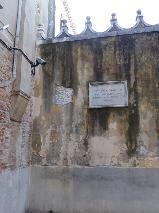 Plaque for Richard Wagner at the Palazzo Vendramin in Venice. 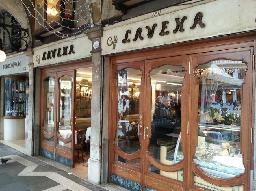 Café Lavena where Richard Wagner used to to go when he stayed in Venice. 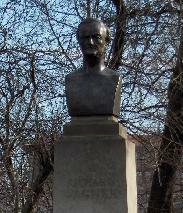 Statue of Richard Wagner in Leipzig.